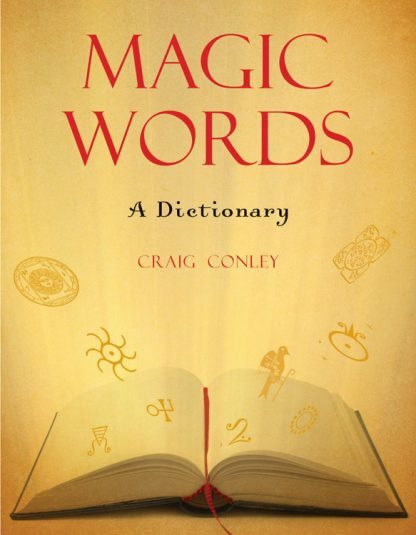 Magic Words: A Dictionary is a one-of-a-kind resource for armchair linguists, pop-culture enthusiasts, Pagans, Wiccans, magicians, and trivia nuts alike. Brimming with the most intriguing magic words and phrases from around the world and illustrated throughout with magical symbols and icons, Magic Words is a dictionary like no other. More than seven-hundred essay style entries describe the origins of magical words as well as historical and popular variations and fascinating trivia. With sources ranging from ancient Medieval alchemists to modern stage magicians, necromancers, and wizards of legend to miracle workers throughout time, Magic Words is a must have for any scholar of magic, language, history, and culture. When it comes to his research Craig Conley has often been called a "language fanatic" by gossip columnist Cindy Adams and a "cult hero" by Publisher's Weekly. His exhaustive research led him to compile Magic Words: A Dictionary. He is also the author of One-Letter Words: A Dictionary and a regular columnist for Pentacle magazine. He lives in Florida and Wales, UK. The Book of Ordinary Oracles: Use pocket change, popsicle sticks, a TV remote, THIS BOOK, and more to predict the future and answer your questions.